Crystal castles are an electronic band from Toronto, Ontario, Canada, consisting of producer Ethan Kath and vocalist Alice Glass. 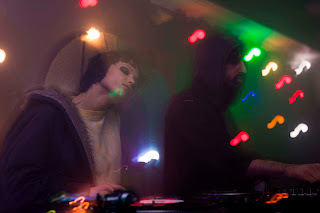 Crystal Castles are known for their chaotic live shows and their melancholic lo-fi home productions. The duo released many limited EPs between 2006 and 2007, and two eponymous albums in 2008 and 2010 to widespread critical acclaim. Pictures byNorma-Jean-Finnegan-Photography.